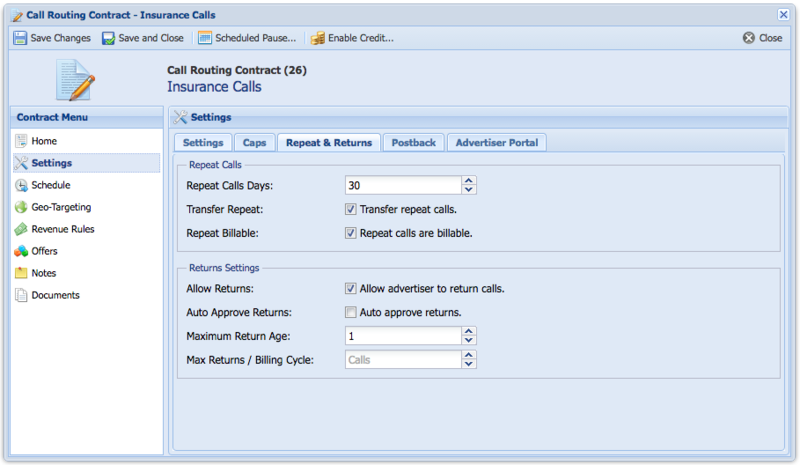 Call Routing Schedule is managed in the Contract Window. 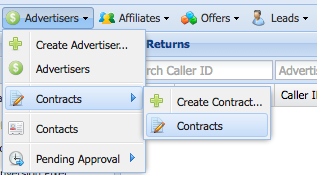 From the Contract Menu, click on Settings -> Repeat & Returns. Repeat Calls Days: Number of days to consider a call is a repeat call. Transfer Repeat Calls: Wether you want to transfer the repeat call to the contract or not. Repeat Billable: Wether you want to bill for repeat calls or not.